Starting any sort of small business is never-wracking, as you’re putting everything you have on the line, and every part of you into it, and failing is not something you even want to think about. But one thing that people tend to not think about is what happens when it’s time to expand. Many people assume that there is going to be no problem with their business growing, and that it will happen gradually and easily. Small business owners, however, tend to find that growing their business is almost as difficult as getting the courage to start the business in the first place! 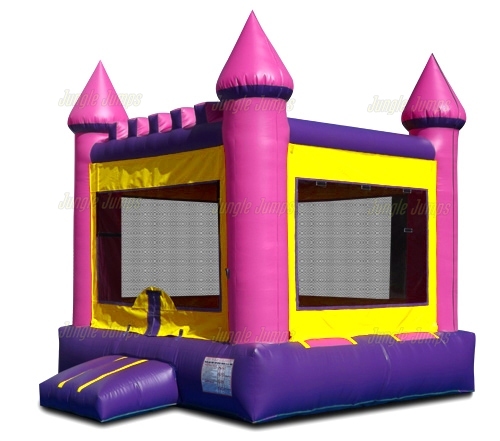 • Are you renting out your bounce houses on a regular basis? • Do you have customers that are coming back to you for their rental needs? • Are your customers referring you to other customers? If the answer to these questions is “yes” than you may be ready to take your business to the next level by purchasing more inflatables. The busier your business is, the more apparent it will be that you need to have more jumpers to rent out. Another thing to think about is the cost. The cost for inflatables does rise, along with everything else, so it’s a good idea, before you start looking at an inflatable manufacturer site, to make sure that you have the money that you’ll need to have to purchase the inflatables already in the bank account. This will take a huge deal of the stress off of you and will allow you to get your hands on new inflatables without having to go into any sort of debt. If your business is truly busy it should only take a few rentals before you’re able to pull together the money you need for a new bounce house. 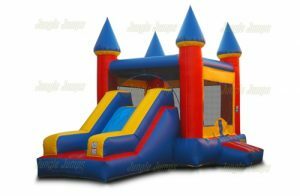 Once you’ve determined, for sure, that you’re going to allow your business to grow you need to think about what type of new bounce houses you want. 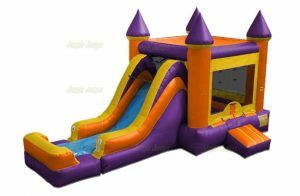 Instead of getting a house, for instance, you may want to look at the inflatable slide manufacturer to rent something a bit different, such as party gear or large inflatable slides. Taking your small business to the next level can be very scary, but if you have the customer base to do it, it can be the perfect time to do so. Email marketing is a cost effective way for inflatable businesses to stay in regular contact with customers and prospects. More and more businesses in the party event and rental industry are incorporating this type of marketing into their budget, and the number continues to grow every year. If you have not yet dabbled in e-mail marketing for your inflatable business, chances are your competition has, leaving your customers vulnerable. Email newsletters are one of the most economical marketing tools for your business. They are much less expensive to create and distribute than most other marketing mediums, and allow you to reach the largest group of people for a relatively nominal amount of money. One of the reasons e-mail is such an effective tool is because an opened email is the focus of the reader’s attention for as long as that email is on screen. Unlike direct mail, television and other mediums there are few distractions. The key for the marketer is to hold the attention of the reader for as long as possible. This is done through effective written copy and eye-catching product images . Include photos of children bouncing and having fun on your inflatable products in your newsletter. This will be easily relatable to your prospects. The key to creating effective newsletter copy and to keep your readership high is to keep the information relevant. Focus on information that will be interesting to the recipient; inflatable products, add-ons, customer testimonials and stories… If the reader does not find an article interesting they will not scroll down through pages and pages of text. The most effective newsletter articles are a one or two paragraph teaser linking to a web page that discusses the information in further depth. Be sure to include a call to action at the bottom of the newsletter, a coupon or seasonal savings on your inflatable services is a great way to do this. This is a very important item, and yet time and time again companies neglect to include this in their newsletters. Without a call to action it is difficult to determine the effectiveness of your newsletter as a marketing tool. There are plenty of companies offering newsletter design software and the ability to send your newsletter. This can often be done separately from your email system, so as not to bog it down. A quick search of “email newsletters” will provide you with dozens of results. Email newsletter can include an unlimited number of hyperlinks, driving traffic to your website. By regularly sending out these emails your database will come to expect them, and your information will be easily accessible when the need for your services arises. Emails are also frequently forwarded to friends and family, further increasing your marketing reach. Your email newsletters should be sent to your customer database. To further increase your marketing reach you may want to consider purchasing or renting a list. You can specify demographics and geographic information for the list. There are dozens of companies that specialize in this information. While the cost may be somewhat prohibitive, the ability to specifically target your audience will significantly improve the return on your investment. It has been commented on by many financial experts that the inflatable jumper business is one of the most rapidly growing, and profitable, businesses in the past few years. 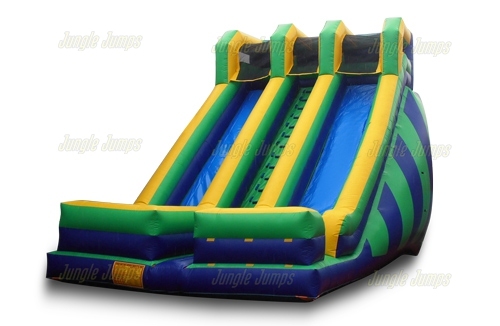 This, of course, makes people eager to jump on the inflatable jumper bandwagon and to start renting out their own jumpers. Aside from keeping track of expenses for taxes and such, it truly is a very easy business to own. The problem often comes for many when it comes to finding the initial amount of money to purchase inflatable jumpers from a manufacturer. While the price for jumpers isn’t that high, any amount can be too large when you don’t have the cash readily available. Here are a few tips that can help you to get your hands on enough capital to start your in business renting out inflatable jumpers. At the beginning of every year people moan and groan because they have to do their taxes. A few months later they cheer when the tax refund comes in the mail. If you’re going to be due a large refund, that may be the perfect time to get your hand on one or two inflatable jumpers. Make sure that you keep your expenses down during the year before you plan on purchasing a bounce house so that you don’t wind up having to use your taxes to pay off previous debts. Then, once your return clears, purchase one or two jumpers to start your business out right. While you’re waiting for the return you can research your area to figure out exactly what type of inflatable will do well and you can get your price list together as well. It can be risky to purchase things with a credit card simply because of the high interest rates that are associated with them. But when you’re purchasing something that can bring you a large amount of income it may be a risk that you’re willing to take. If you opt to use a credit card to purchase your inflatable jumper, it’s a good idea to start with just one and to pay off the amount you’ve charged before you purchase another one. There are many ways you can get your hands on capital for your investment if you look around. Some choose to have large yard sales, getting rid of the things that they don’t need in order to earn money for their new business, and others have friends and family members that they can take loans from. If you’re serious about wanting to start an inflatable jumper business, don’t assume that you can’t afford to purchase any jumpers, as there are many options out there that can get you the capital that you need to start your new business. You’ve gone to the inflatable manufacturer and have bought your bounce house. You’ve figured out how much to charge and you’ve practiced inflating it. You’ve started renting out your houses to people you know and have slowly begun to develop a business relationship with other businesses. Your business is growing, slowly but surely, and you think you’re ready to take the next step. But what is the next step? And how can social media help you on your journey? Social media is something that has been around for a number of years, but it has only been within the last few years that it has become a way for businesses to be able to increase their profits and customers. If you’re someone who has just begun learning about social media, you have a lot to catch up on. Almost any large business you can think of is now on social media websites, likely including the inflatable slide manufacturer that you bought your inflatables from. But how do you get started using it for your needs? Firstly you’ll need to have some social media accounts. Getting accounts on things like Twitter and Facebook is very simple and takes only a few minutes to set up. You can also find a number of websites online that tell you how to connect certain social media sites together so that you can lessen the amount of time you need to work on them. Once you’ve set up your accounts, it’s time to start using them. If you set up your accounts and never use them, you’ll quickly find that they won’t do you any good. Those businesses who complain about how social media sites don’t work for them likely haven’t learned how to use them properly nor are they continually updating their information. Update your status regularly by talking about things that relate to your business. Talk about the inflatable manufacturer that you purchased your slide from, or talk about how you’re going to be getting a new house from your inflatable slide manufacturer. The more interactive you make things, the more of a response you’ll get. For instance explain that you want to purchase a new bounce house from your inflatable manufacturer but that you’re not sure what to get. Post up a few pictures of slides and ask your readers what they think will work best. With social media you can not only get new clients, but you can also cultivate a relationship with current customers so that they’ll immediately think of your business whenever they need to rent a bounce house. At every event you will need to identify the most appropriate area to set up your inflatable equipment. This type of site surveying is best done before the day of the event. Scoping out the event site and getting an understanding of the event site and how it will be laid out will be very useful. Doing this type of site surveying prior to the event will ensure that everything runs as smoothly as possible. When determining the exact location for your inflatable equipment you need to know the dimensions of the inflatable, as well as the devices that will hold them up. Keep in mind that you will also need additional space around the inflatable for staking or sandbagging. The site you select should have plenty of room surrounding the bounce house, which can sway a bit due to weather and heavy use. Ensure that the location you select has enough open space for the physical parameters of the equipment. Take care to look for any obvious obstructions such as power lines, trees or large rocks. You also need to make sure the ground is a safe place for your inflatable, and will not cause any damage. Clear the area of any sharp objects, sticks and stones. Inflatable equipment should always be installed on a soft surface, such as grass. Setting up your inflatable on a more abrasive surface, like cement, can cause tears and holes in your equipment through the friction. 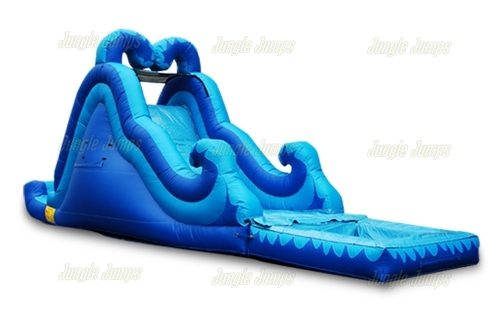 If the customer has selected a water product, such as a water slide, make sure a source of water will be available within reach of the inflatable. Always consider the electric source for your inflatable as well. If you are bringing a generator the only issue will be to have an out of the way location to place this. However, if you are going to be using the event sponsor’s electricity you will need to make sure this is made available and is within reach of your equipment. You may occasionally run into the event where the inflatable will be used in a large indoor location, such as a mall. Similar to outside site surveying, you will need to make sure there is adequate space cleared for the inflatable. This may include removing plants, trash receptacles and benches. It is also advisable to sweep the area prior to setting up your inflatable. This will ensure there are no foreign objects on the ground that could damage your equipment. It may arise at some point that your customer is not able, or willing, to provide the necessary cleared space to set up and operate the inflatable. You should always tell a customer at the time of booking an event how much space is required for the inflatable product they have selected. This will free you from blame if the site is not up to specifications. If the customer does not have the space necessary, ideally you can offer them a smaller scale inflatable product that will fit their event space.